This is actually the last “completed” project I have done recently. I was doing some archaeology work this summer and stayed with a gal named Ellie. She teaches yoga and raises bees! I convinced her cat Sampson to fall in love with me, too. I wanted to give Ellie something since I was staying with her for two weeks, including her birthday, and she offered to teach me yoga for free (though the timing never worked out for me) – and she gave me some of her homegrown honey! I thought a small bee + yoga cross stitch project would be appropriate and require less time than surface embroidery (ha, lesson learned!). I borrowed the ideas from two sources: Embroiderbee had this great quote that I thought fitting for Ellie’s interest in yoga, plus I added the bees from it. 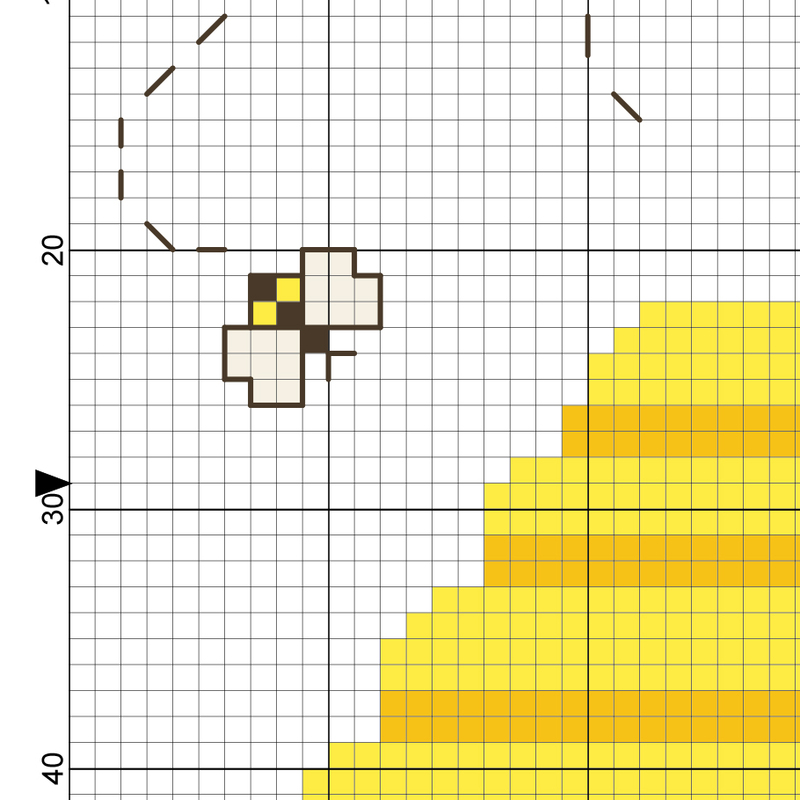 Daily Cross Stitch had this little image that I used for the beehive portion and the inspiration to add the little movement trails on each bee. I could not be more happy with the bee + yoga cross stitch gift! Without planning this project ahead of time, I had no thoughts in mind of how to finish it or even the supplies to do so. Luckily, I hear Ellie is a crafty gal herself!